Anticancer Treatments and Cardiotoxicity: Mechanisms, Diagnostic and Therapeutic Interventions presents cutting edge research on the adverse cardiac effects of both radiotherapy and chemotherapy, brought together by leaders in the field. Cancer treatment-related cardiotoxicity is the leading cause of treatment-associated mortality in cancer survivors and is one of the most common post-treatment issues among survivors of adult cancer. Early detection of the patients prone to developing cardiotoxicity, taking in to account the type of treatment, history and other risk factors, is essential in the fight to decrease cardiotoxic mortality. This illustrated reference describes the most effective diagnostic and imaging tools to evaluate and predict the development of cardiac dysfunction for those patients undergoing cancer treatment. In addition, new guidelines on imaging for the screening and monitoring of these patients are also presented. 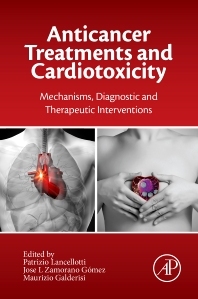 Anticancer Treatments and Cardiotoxicity is an essential reference for those involved in the research and treatment of cardiovascular toxicity. Chapter 4. Cardiotoxicity of Oncologic Treatments: Is There a Uniform Definition? Patricio Lancellotti is head of the intensive care cardiology unit at the University of Liège Hospital Center and Professor of Clinical Medicine at the University of Liège. His research, conducted at Professor Luc Piérard's department of cardiology, has led to significant progress in the care of patients suffering from functional mitral insufficiency, a pathology often underestimated clinically yet weighing heavily on the prognosis. He has 300 peer-reviewed articles and an H-index = 40. José Luis Zamorano is Professor of Medicine and Head of Cardiology at the University Complutense in Madrid and Director of the Cardiovascular Institute at the University Clinic San Carlos, Madrid. His key research interests include ischemic heart disease, cardiovascular risk factors and imaging modalities. Professor Zamorano is President Elect of the European Association of Echocardiography (EAE) and President of the Working Group on Non-invasive Diagnostic Imaging of the Spanish Society of Cardiology. He serves on numerous Editorial Boards, including the European Journal of Echocardiography, the American Society of Echocardiography and the European Heart Journal. He has authored over 400 articles for peer-reviewed journals and has an H-index = 57. Maurizio Galderisi, is Associate Professor of Cardiology and Clinical Director at Federico II University Hospital in Italy. His research interests include cardiac function, heart failure, arterial hypertension, tissue Doppler and strain rate imaging, coronary flow reserve. He has served as editor of one book and author of 10 chapters in various cardiologic books. He is the author or co-author of 250 articles on international peer-reviewed indexed journals, with an H-index = 38. 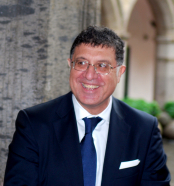 He has been an invited speaker at more than 70 major national and international meetings and holds scientific association membership with Società Italiana di Cardiologia (SIC), Società Italiana di Ecografia Cardiovascolare (SIEC), European Association of Echocardiography (EAE), and the American Society of Echocardiography (ASE).